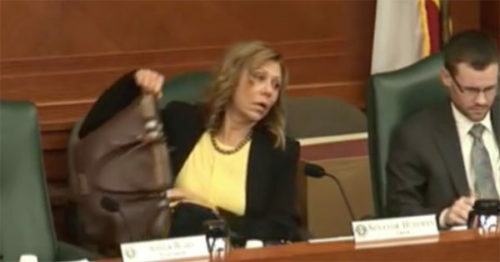 Was this Texas lawmaker caught on tape calling a transgender man a ‘pervert’? Those three words may not have been heard by anyone attending last week’s hearing on the Texas bill to prohibit transgender people from using any bathroom other than the one corresponding to their birth certificates. 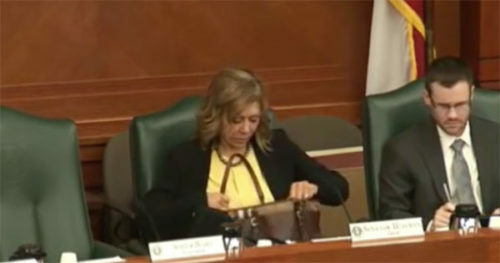 But a close listen to the recording of that hearing on Senate Bill 6, the so-called “Privacy Protection Act,” reveals that State Senator Joan Huffman apparently muttered those offensive words, and her microphone picked them up. Sen. Huffman was off-camera at the time of the recording, but was running the hearing. Listen for yourself in this video, edited by Houston Equality. She appeared to be more concerned with sorting through her pocketbook than listening to his plea to not oppress trans people. 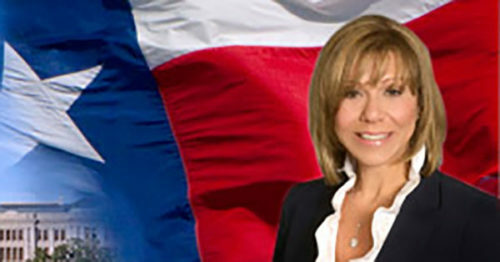 State Sen. Huffman’s office did not return a call from LGBTQ Nation requesting comment. Dr. Keo-Meier was profiled by transgender advocate Brynn Tannehill in our 50 Successful Transgender Americans to Know report in January. He’s the lead author of the American Psychological Association Division’s guidance for treating transgender children. Keo-Meier is enrolled in medical school at the University of Texas Medical Branch and runs the Transgender Health Lab in the psychology department at the University of Houston, where he conducts research on the impact of testosterone on the mental health and sexuality of transgender men as well as the experiences of parents of transgender children. The entire hearing was posted to YouTube. Listen to the unedited version below by scrolling ahead to the 00:27:30 mark.